Passionista! : Babies and Brides and Showers, Oh My! Babies and Brides and Showers, Oh My! This spring is bringing me many great things to look forward to. It seems a dozen or so people I know are having babies, several couples are getting married, and that means showers and receptions and gifts. I LOVE trying to find the perfect gift, if I have time. Thanks to blogging, I have found a treasure trove of great gift ideas. So I was thinking, if I know all these people in need of gifts, my lovely readers probably know some people who are celebrating as well. So I will share some lovely links with you today, and maybe they will inspire you (and me) to purchase or make a lovely gift for someone you love. I have mentioned before that my Mom is now an Urban Botanic Fragrance Designer, and her products would make a great shower gift for a bride or a mother to be. You could create a custom scent just for her. The products are even baby safe. Check it out here. I recently ordered some great chunky white jewelry that is super fun to wear from this site. They have some really cute, unique gift ideas for brides and babies, as well. While you're visiting you can pick up a hairpin or a bracelet for yourself. Great prices too. I love some of the items that this site has to offer. I saw these button bowls and trays in a very chic store in Seattle and they have them here as well. I would love to give these as a wedding gift. They have tons more cool things. I can't remember how I found this site, but they have some very unique, artsy kind of products. Some would be perfect for a bridal shower gift. You may even find something that would work for a baby shower gift. I love this wire basket and think it would be adorable filled with baby clothes, or kitchen accessories. I also think this teapot is so pretty. 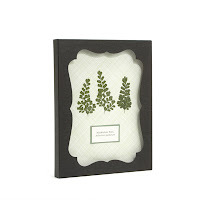 If handmade is more your bag, Martha Stewart has a new line of scrapbook products and kits that would make great gifts. 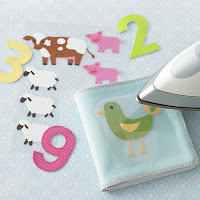 I love this baby numbers book kit, and these picture frames are perfect. I love the botanical print idea, it would be very easy to make. Many of these products are available at our local Michael's. I love this baby book because of how unique it is and also because of it's great price. Only $13. This website has many more great products and ideas. This site offers handmade baby blankets, bibs, and burb rags in really awesome fabrics. The prices are reasonable also, and I think they would make for a very special gift. Petunia Pickle Bottom has a silly name but the most delicious baby bags I've ever laid eyes on. Ella Bella, here locally, carries some of their products, which are rather spendy, but beautiful. Small and Medium carries very simple, cute, modern clothing. I like the clean lines and unfussiness of the clothes. They look comfortable. Recently while I was at my Mom's house, I noticed a children's clothing magazine on her counter. I picked it up and I fell in love with the pictures and dresses inside. Tea Collection has beautiful and interesting clothes, and I found this site online where their products and many more kids accessories can be found. Finding or making the perfect gift makes me remarkably happy, and so I have lots of fun shopping and crafting ahead of me. Bring it on!